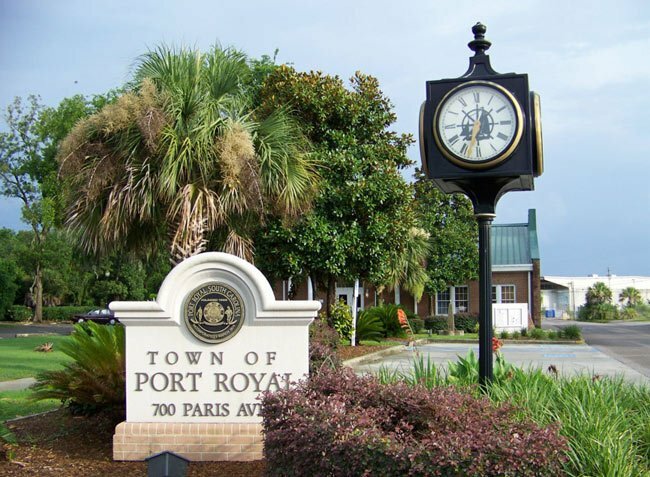 Port Royal is a sleepy little town located just south of the City of Beaufort. Today’s quiet pace, however, belies a tumultuous past. The Spanish established a fort at nearby Parris Island during the 1520s – one of the first in North America. That settlement, Santa Elena, did not survive, but in 1562, a group of French Huguenots arrived and established another settlement on top of the original one. Called Charlesfort, it too suffered an ill fate, and for the next two centuries, the area was fought over by the Spanish, the French, the English, and the Native Americans. In 1861, Port Royal was one of the first cities in the Confederacy to fall to Union forces. Prior to the Civil War, Port Royal was awash in Sea Island cotton, making planters here very wealthy. When Union forces overran the area, white families fled, leaving their homes and slaves behind. The United States Government then enlisted the aid of teachers and missionaries from the North to help former slaves establish new lives as freedmen. 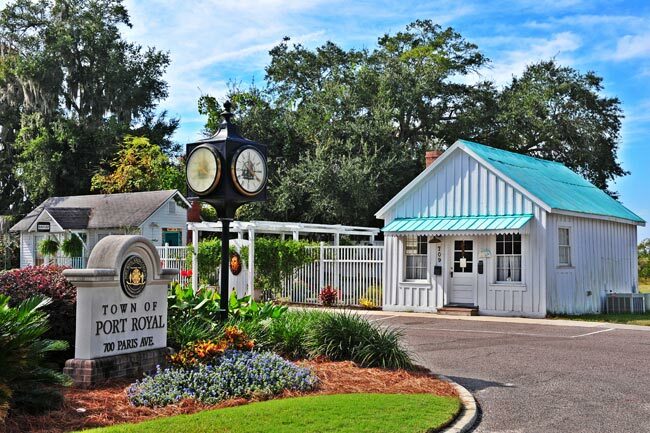 These programs, including Mitchellville on Hilton Head Island and the Penn School on St. Helena Island, were known collectively as the Port Royal Experiment. These days, Port Royal is best known for its seafood. 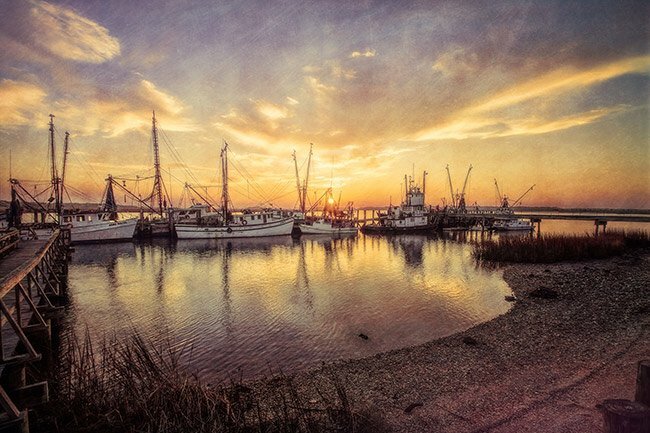 Docks at Battery Creek are home to a fleet of trawlers, and guests travel from miles around to sample some of South Carolina’s finest dining. Scheper’s Store, built in 1885, still stands in the heart of Port Royal. The grocery and feed store was started by German immigrant F.W. Scheper and was located near the railroad depot where Marine recruits would await their final transport to Parris Island. The store also served as a post office from the turn of the century until the end of World War II; the addition that housed the post office was destroyed by Hurricane Gracie in 1959. The charming building above was built in 1880 and on the same circle as Scheper’s Store. At one point, it accompanied an adjacent building of similar size and style; the two were joined by a breezeway. This building served as a store, while the other was a residence; the residence was later demolished. Contributor Robert Vance, who took the photo above, notes that in recent years, it has served as an artist studio, a flower shop, a gift shop, and an office for a massage therapist. 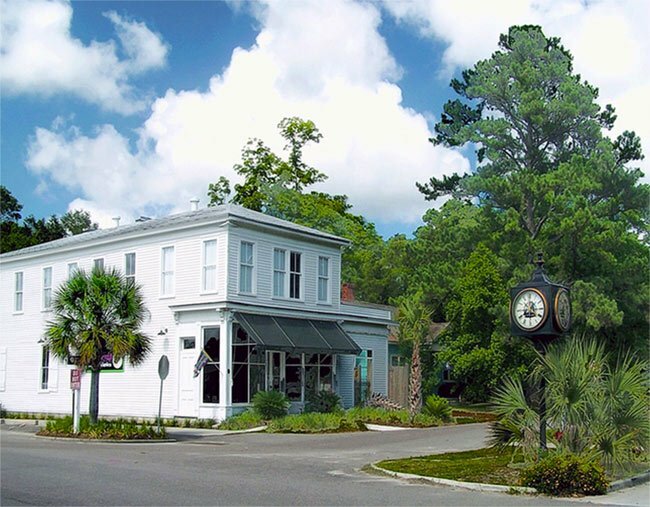 Located in the heart of the commercial district of Port Royal, the store served the community of Port Royal from its construction by German immigrant F.W. Scheper in 1885 until the store closed for business in 1950. 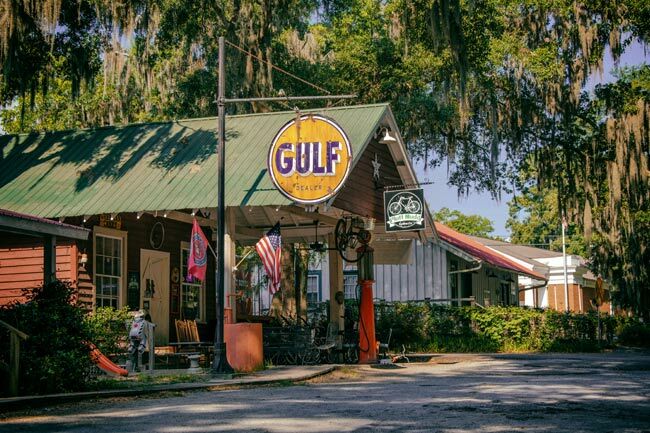 The store is one of the last remaining nineteenth century commercial buildings in Port Royal and is a vivid reminder of the town’s early history and brief period of economic prosperity in the 1870s through the 1890s. A ship chandler, Scheper was a wholesale and retail grocer and a dealer in hay and grain. 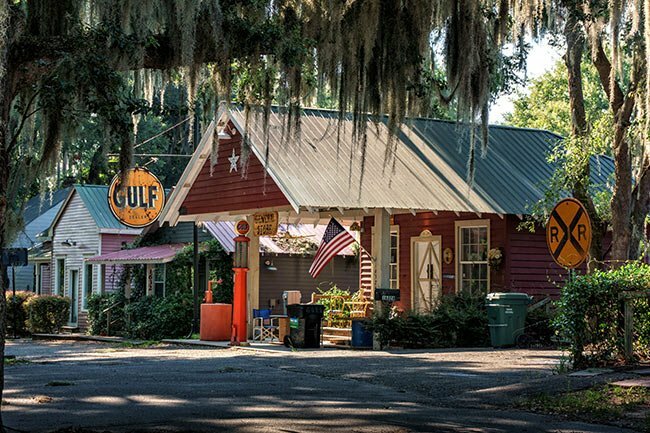 The store was located within short distance of the railroad terminus which was the debarkation point for the marines who arrived in Port Royal for transport to the growing naval and marine base on Parris Island. The store is a large two-story frame commercial building that is the focal point of historic downtown Port Royal. The largest historic commercial building remaining in the town, the store retains a good degree of physical integrity. A one-story addition at the southeast corner of the building was constructed between 1905 and 1912; it served as the Port Royal post office. Barry Gooch, who contributed the photo of Scheper’s Store above, lived in Port Royal as a child and shares with us his knowledge of the area: “The building shown to the left of the clock is Scheper’s Store. It was built in 1885 by F. W. Scheper. Mr. Scheper was a ship chandler and opened the store to support the burgeoning shipping industry in Port Royal. He also offered dry goods, groceries, as well as hay, and grain. Around 1900, he built an addition to the store which served as the local post office. The post office was relocated to a concrete building across the street after World War II. The post office addition was destroyed by Hurricane Gracie in 1959. The building is listed on the National Register of Historic Places in 2004. The registry states the store closed in 1950. This is incorrect. Mr. Scheper operated the store at least through 1956. I am in the third generation of the Chaplin family that grew-up in Port Royal (before the change), and my daddy was Robert G. “Capt. Bobby” Chaplin who knew these streets before me. He told me he used to work for F. W. “Mr. Willie” Scheper when he was 14 (1946), carrying ice-blocks to ice boxes, among other things. He and his older brother Jack were Marines when old enough, but he also told me how the Port Royal neighborhood kids would bring and sell candy bars or home-made sandwiches to young Marine recruits as they sat in the train at the station (just beyond this Town Clock).